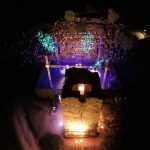 The most important cultural institution of private initiative in Greece is ready to raise its curtain once again on Sani Hill, featuring – as always – exclusive appearances by artists from the international music scene as well as exceptional Greek musicians, both well-established and new. In the Jazz on the Hill section, multi-award winning German trumpet player, singer and composer Till Brönner will be making his first appearance in Greece on Saturday 7 July with the Till Brönner Septet. They will perform his compositions from the internationally acclaimed album “The Good Life”. In the same section, another first appearance comes on Friday 13 July, with distinguished American jazz singer Cécile McLorin Salvant, whose numerous accolades include first prize at the Thelonious Monk International Jazz Competition and two Grammy Awards. On Sunday 22 July, it’s time for Sounds of the World to bring to the Sani stage African diva and UNICEF Goodwill Ambassador Angelique Kidjo. An expressive voice with a multitude of influences, Angelique Kidjo has received several Grammy awards and boasts many distinctions and noteworthy collaborations with fellow musicians. It will be her second visit to our country, for which she promises the kind of show full of energy, dynamism, vibrancy and rhythm that only she can deliver. A big surprise is in store on Saturday 28 July. Vivaldianno is a narrative music concert, a multi-performance centred around the life and art of famous composer Antonio Vivaldi. In this show, titled “City of Mirrors”, Vivaldi’s classical works combine with narrative video and dance to offer a spectacle unlike anything you have seen before. 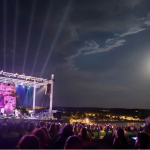 Greek artists have always had a place at Sani Festival, too. The Greek Variations section welcomes composer and vocalist Katerina Polemi in a show dubbed “Αγάπη, Love, Amor” on Saturday 4 August, while Stavros Xarchakos joins Alkistis Protopsalti on stage on Sunday 12 August to treat the audience to his finest songs in Protopsalti’s rich, distinctive voice. 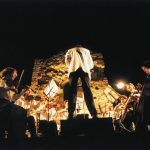 Last but not least, as part of our classical music section, Classical Waves, internationally acclaimed maestro Alexandre Myrat will conduct the Thessaloniki State Symphony Orchestra on Saturday 18 August in a show titled “Cinema Symphony” – an anthology of much-loved, instantly recognisable music themes from the silver screen by composers such as Ennio Morricone, Nino Rota, Jean Michel Jarre, Elmer Bernstein and Alexander Desplat.